This photo of ‘Facebook’s representative office’ was first shared by a Facebook user. 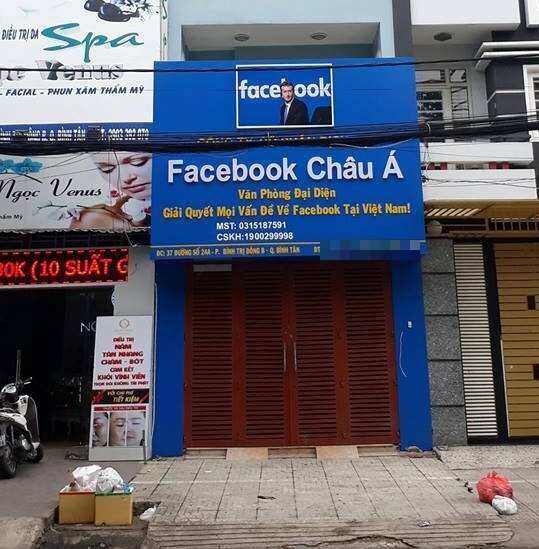 A photo of an office in Ho Chi Minh City claiming to be ‘Facebook Asia’ has been circulated on the Internet, leaving many wondering if it really has anything to do with the world’s biggest social network. The office carries a giant storefront sign in blue, the predominant color of Facebook, which reads “Facebook Chau A,” or “Facebook Asia." According to local tech newswire ICTNews, the company in the photo is located on 24A Street, Binh Tri Dong B Ward, Binh Tan District, Ho Chi Minh City. ICTNews said the photo has confused many Internet users, who wondered if Facebook has actually opened a representative office in Vietnam. However, communication representatives of Facebook in Vietnam were quick to deny the rumor, affirming that the U.S. company currently does not run any office in Vietnam. The representatives said that Facebook was already aware of the information and was considering the related legalities of the issue, apparently referring to the infringement of its trademark rights.  According to Vietnam’s national business registration portal, the Facebook Asia Service JSC was owned by Tang Thi Kim Lien and was licensed to operate in the field of advertising in July 2018. An ICTNews reporter also came to the above address to find out more about this company. The iron gate of the company was closed when the reporter came, so he had to ring the bell before a man from inside went out and opened the gate. According to the reporter’s observation, there were no employees working on the ground floor, where many motorbikes were parked, indicating that the place could be a high-end rental house used as an office building. A set of new tables and chairs for reception was located further inside, near an apparent director desk, with the company’s name printed on a wall behind it. A company representative revealed to ICTNews that ‘Facebook Asia’ specializes in providing such services as boosting interaction on Facebook, creating Facebook business pages, trading Facebook pages with large follower bases. These are common services that are also offered by other businesses in the market. The representative added that the company is operated by a group of friends and is completely unrelated to Facebook, not even an affiliate of the global social networking site.